I have a love hate relationship with Amtrak. Our family of 8 took our first Amtrak trip last summer, going from Amtrak Toledo Union Station to Denver (and back). Back when Chase Ultimate Rewards could be transferred to Amtrak points (they can’t anymore), we used 100,000 Ultimate Rewards to take a $6500 trip. Even though Amtrak went through a devaluation earlier this year, you can still get pretty good value on Amtrak longhaul sleeper trains, but you have to be a bit more strategic in your redemptions. One thing that we learned from last summer’s Amtrak trip on the California Zephyr is that you can’t really count on any sort of definitive timetable for trains. While in most cases, the trains arrive within a few hours, our train into Denver was delayed by THIRTEEN HOURS, which caused all sorts of problems with our vacation schedule. It wasn’t too bad, though I wasn’t able to really sleep much for the 8 hour or so ride into Chicago. After a brief lunchtime stop in the Amtrak Chicago lounge, it was time to take a ride on the Empire Builder Amtrak train to Seattle. While our train from Cincinnati to Chicago was a Viewliner, the Amtrak Empire Builder route is on a 2-story Superliner train. One thing I enjoyed on the train was the Amtrak Empire Builder menu and experience in the dining car. If your expectations of dining while traveling is airplane food, you’ll be pleasantly surprised with the Amtrak Empire Builder menu and dining experience. Your meals are all included in the price of any sleeper car accommodations, so for the Amtrak Empire Builder that means you get 2 breakfasts, a lunch and 2 dinners. You can find the actual Amtrak Empire Builder menu at Amtrak’s website, but they have a decent selection, including kids meals. You are seated in tables of 4, which is perfect for our family of 8 – we just took up 2 tables. Since we were traveling on my wife’s birthday, I convinced the Amtrak Empire Builder dining car staff to surprise her with a cake. The Amtrak Empire Builder route starts in Chicago and heads north through Wisconsin and Minnesota. It leaves Chicago in the afternoon and you end up sleeping through most of North Dakota. The next day you continue on through Montana. The Amtrak Empire Builder makes fairly frequent stops. Most of these are very quick on and off stops, but occasionally they will be longer. We took every opportunity we could to get out and stretch the legs. Overnight in Spokane Washington, the car disengages and most of the train continues on the Seattle Empire Builder route, while a few cars take a route through southern Washington and northern Oregon into Portland. The dining car on the Amtrak Empire Builder goes to Seattle while the lounge car goes to Portland. You will only end up getting breakfast in the dining car on the 3rd day if you’re going to Seattle. Portland-bound sleeping car passengers get a cold breakfast from the lounge car. One nice thing about the Amtrak Empire Builder is that there are 2 places on the Amtrak Empire Builder route where National Park rangers come in to talk about some of the sights that you’re seeing. The first is on the evening of the 2nd day as you go through Glacier National Park in Montana. I find it pretty useful for someone who knows what they’re talking about to help understand what you’re seeing. The panoramic lounge car got pretty crowded with everyone taking pictures of the park and the wildlife. I’ll say that if you are an adult of above average size (or claustrophobia), you might not want to sleep on the top of an Amtrak Empire Builder sleeper car or roomette. I am a little shy of 6′ and average build, and it’s definitely a little tight. We ended up getting into Seattle’s King Street station at the end of our Amtrak Empire Builder route right on time, which sure was a nice change from last summer’s 13 hour delay! We live in Seattle and take the Amtrak up to Vancouver of weekend getaways. The 3+ hour train ride along the water of Puget Sound is really nice. Plus, you don’t have to worry about having a car in downtown Vancouver. While it’s not a fast way to travel and schedules mean almost nothing to them, we’ve found it definitely worth the money and a fun experience. We had a lot of fun on this trip too! Don’t rip any train sch3dules. Amtrak owns NO tracks in this area and is at the mercy of freight traffic which does own the tracks. Blame US Congress for that and most, if not all of Amtraks woes. I finally booked a Roomette at the old rates DEN/PDX on The Zephyr. This was my first longhaul (in June), and I loved it. Can’t wait to (one of these days) do it again. Our family of 5 did the Empire Builder last summer and did the California Zephyr / Coast Starlight / Southwest Chief last month in conjunction with a California vacation. With the exception of some creaky noise issues on the CZ, we all have loved each trip! Our boys are aged 13, 11 and 8 and we have now imprinted some great family train vacations onto them. If you have the points and a young family, it is an unforgettable experience that shouldn’t be missed. I agree – the Amtrak Empire Builder route or any of the other longhaul routes are great trips that are really much more possible thanks to miles and points! These train trips that our family has taken have imprinted some great memories for our family! I have ridden the Empire Builder many times on visits from Portland to the east coast. To maximize enjoying the scenery, go eastbound. The mountain scenery stops abruptly at 0830, the rest of the trip is through prairie lands. When days are shorter it is often dark through Glacier westbound. From Portland I often take the Cascades up to Seattle and board the Builder there, the benefit being a dining car and nice scenery on both sides of the train. The subject family, being rather large, took two tables in the diner, and missed out on one of the nicest experiences of train travel, meeting fellow passengers seated in the dining car. I am usually traveling alone, sometimes with my wife, and we have met many interesting people from all over the world seated with us. Hi! Wondering if you have any thoughts on the best time of year to take the Empire Builder eastbound from Seattle to maximize the sights? Thanks! Best time of the year is between June and September. We have nice long days here in the northwest when summer comes. Sun rises around 5 or 6 and goes down around 8 at its peak. At least this summer the Empire Builder was mostly on time!!! For many years with floods, construction, and oil coming out of ND, it was always late, up to 27 hours at times. 2016 was a dream compared to that. The only minus was construction at the East Glacier station most of the summer that really made pickups a problem. I’m watching the Christmas Train wondering if the Empire Builder is the train they used. My husband and I celebrated 47 wonderful years in June after taking the train from Chicago – a lifetime dream vacation for 15 days. In early Sept. my husband suddenly passed away and I’m reliving that wonderful vacation watching this movie. We had planned on doing the train adventure next spring down south. Our trip was a dream vacay and so happy we took the time to do this since many of those places I wouldn’t have visited without Jack. Everyone on board was awesome. Merry Christmas all. Nice review. A long haul Empire Builder or Southwest Chief trip was on my bucket list until the Chase transfer went away. I was a day late and dollar (points) short to take advantage of this. The cash prices for the sleepers seem hard to justify. The longer stops are for engine crew changes. Oh god havre Montana. I will always remember that as the place I sat for 13 hours going westbound because a freight train ahead of us had derailed. At least you had a good time there lol. Los Angeles to Chicago, 1 night stay. All in all, I traveled over 13K miles by train, saw a lot of country most people fly over, met tons of interesting people and was fortunate enough to have a sleeper car on 2 segments. We ended up with a 13 hour delay on our California Zephyr trip a few years ago due to a freight train derailment. Just keep in mind that freight trains take precedence over passenger trains as they own the tracks. This is a huge problem on certain routes especially the Crescent City from Atlanta to New Orleans. It is rarely close to being on time. Once we spent an excruciating 23 hours on a trip that was supposed to take around 10. Yet many people do take it because it serves a need. Then we you finally get to NOLA, the train slows way down because of city regulations and even turns around so it will be ready to leave the next morning. The food is expensive for what it is, although eating in the dining car is fun. Again dining is first come, first served and you have no choice over who you might sit with. Wish something could be done to improve it. We just did the Chicago-Whitefish journey in a sleeper. We liked the experience (interactions with other passengers, views,…) though the upgrade accommodations were not worth the cost. The sleeper did not fit the family of 3 as Amtrak said. Coach seats were more comfortable in comparison to the cramped sleeper car. All you really gain is some privacy. Crew onboard were amazing trying to make up for the hours of delay and lack of dining menu options (they didn’t have any the non-basics). I felt a little scammed by the lack of menu and sleeper car condition though enjoyed the experience. 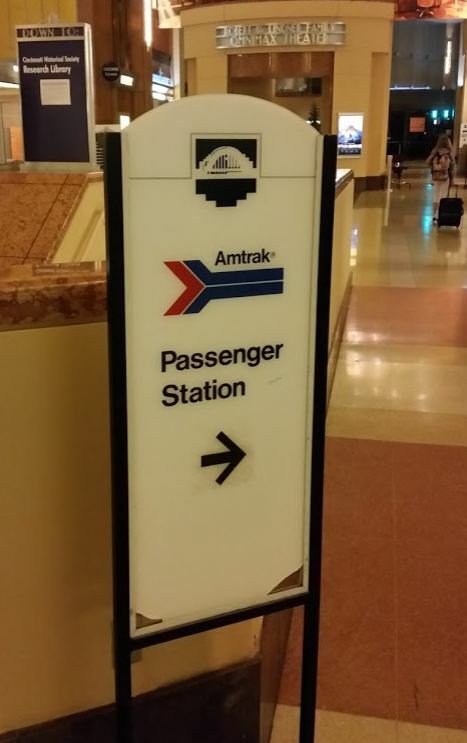 Amtrak has a great product yet they don’t live up to its potential.